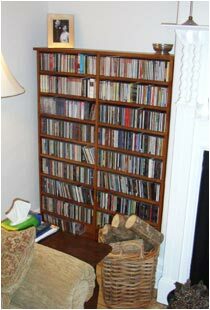 This storage unit was made to house a customers vast collection of cds. Yew was used to match his stereo speaker cabinets. The unit was made-to-measure to fit into an alcove.